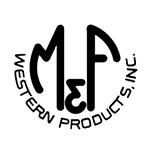 This handy paisley bandana by M&F Western Products is great for wiping off the trail grime. The ideal size fits easily in your pocket, or ties stylishly around your neck or brow. Traditional paisley and floral design.